Welcome to OrthoRehab Physical Therapy! For more than 30 years we have partnered with our Montana communities and now offer clinics in Kalispell, Whitefish, Columbia Falls, Bigfork, Dillon, Libby, Troy, as well as Kalispell’s state-of-the-art Aquatic and Spine Center. Through active involvement and philanthropic endeavors, OrthoRehab is committed to uplifting those around us. Guided by the trusted leadership of Patrick Gulick, MS PT, our team of exceptional Physical Therapists at OrthoRehab looks to the next 30 years providing the excellent benefits of Physical Therapy. Patrick, owner of OrthoRehab, was born and raised in Whitefish. He graduated from Whitefish High School in 1991. 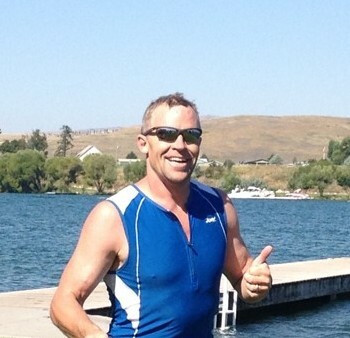 He attended Montana State University where he received a Bachelor of Science in Exercise Science in 1996. He graduated from the University of Montana with a Masters Degree in Physical Therapy Science in 1998. His specialties are Orthopedics, Sports Medicine, Functional Capacity Evaluations and Spine Care. Prior to working in Kalispell, Patrick managed two clinics in Olympia, WA. He has been with OrthoRehab since 2003. Patrick and his wife Stephanie have 3 children Kali, Sidney and Carson. It is the mission of OrthoRehab to provide patients with high quality, professional and caring services to meet their physical therapy and related needs. Where patients are treated with dignity and rehabilitation goals are mutually established and accomplished. We strive to be a model facility for patient care, employee satisfaction and student education. We continually strive towards clinical excellence. We encourage company-wide teamwork and program development to maintain economic viability. We participate actively in the communities we serve and respond to their needs. 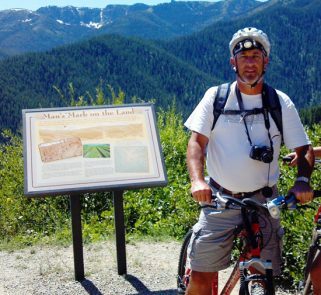 Keith opened the doors to OrthoRehab Physical Therapy in 1986, then Buffalo Hill Physical Therapy, making OrthoRehab the first outpatient physical therapy practice in the Flathead Valley. After 30+ years as a respected Physical Therapist, MHSA Basketball Referee and active community member, Keith is now enjoying well deserved time of a more leisure nature, taking pleasure in life’s adventures with his wife Sue, children Briana, Kellen and Alena (now a 2nd generation Physical Therapist practicing in OrthoRehab’s Kalispell clinic) as well as his first grandchild Annabelle!